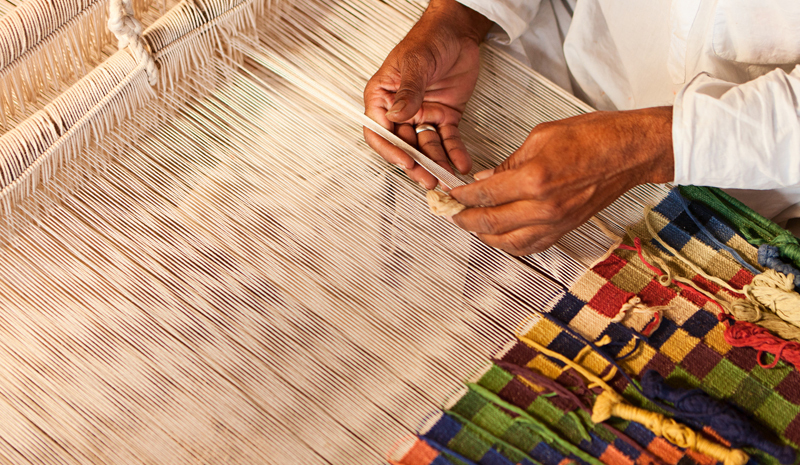 The largest city in the western state of Gujarat, Ahmedabad isn’t just a buzzing urban hub. It’s also—as of last month—India’s very first World Heritage City. 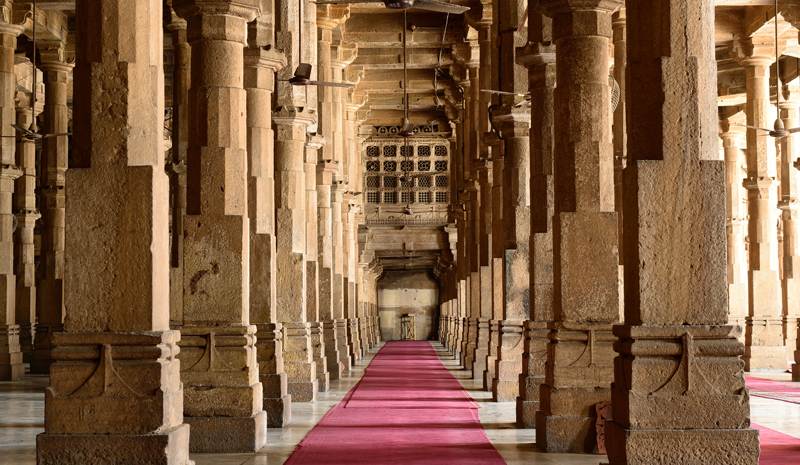 Known for its spectacular sultanate architecture, regal heritage, and for its connections with Mahatma Gandhi, the 600-year-old Ahmedabad is fully deserving of the plaudits. Now, there’s never been a better time to visit this fascinating and jubilant Indian city. 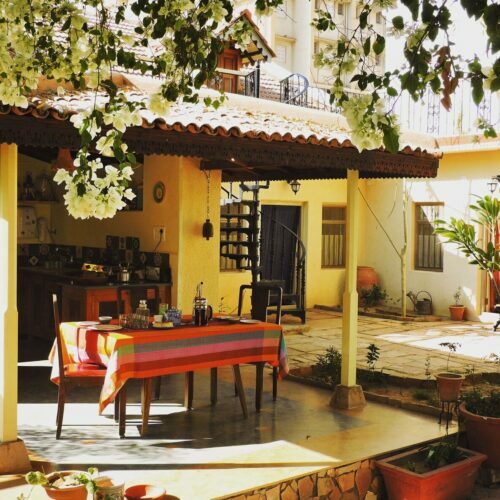 We’ve handpicked 10 of the best things to do in Ahmedabad. Together, they should serve as the perfect introduction to this UNESCO-designated destination. 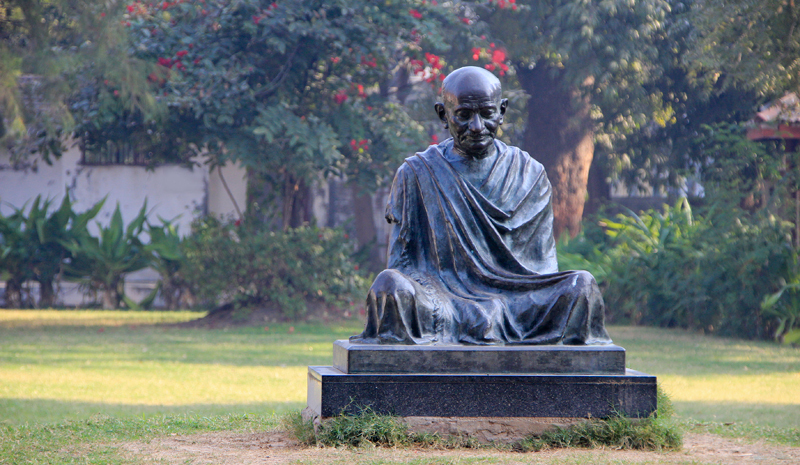 Ahmedabad will always be remembered for its connection to Mahatma Gandhi, who used the city as his headquarters for more than a decade. Pay tribute to his legacy of peace and visit the Sabarmati Ashram, which he established in 1917. Occupying Ahmedabad’s historic heart, and built in 1411 by Ahmad Shah, the Bhadra Fort contains many of the city’s most iconic landmarks. Visit the famous Teen Darwaza gate, and soak up the lively atmosphere. Visiting the Sidi Saiyyed Mosque is unquestionably one of the best things to do in Ahmedabad; the landmark may very well qualify as the city’s most evocative structure. 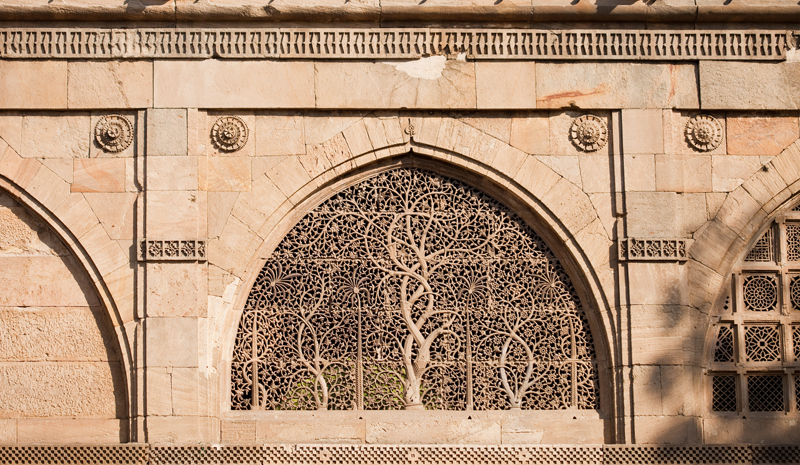 Famous for its archways and its carved lattice windows, it was once part of the citadel wall that ringed the city. While much of Ahmedabad is characterised by centuries-old architecture, the Sanskar Kendra is another story. Designed by the Swiss-French architect Le Corbusier, its geometric exterior contains a collection dedicated to Ahmedabad’s history, art, and culture. 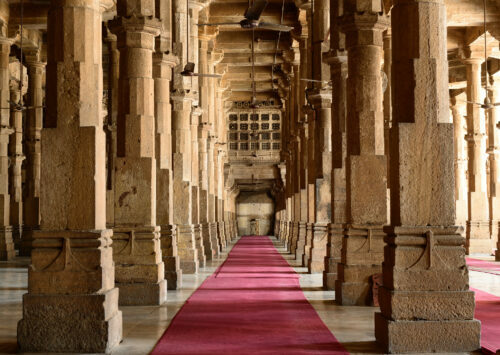 Another iconic mosque in Ahmedabad, this lovely structure—with its golden sandstone edifice, sprawling courtyard, and colonnaded prayer hall—was built in 1424. When it was first constructed, its scale made it among the country’s largest mosques. 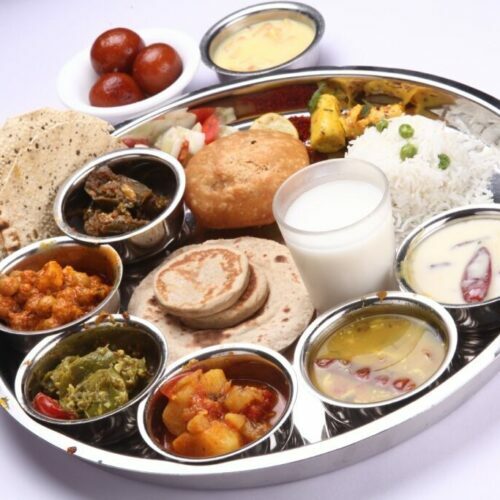 One of the best things to do in Ahmedabad if you’re a food lover? Pay a visit to the expansive Manek Chowk. The largest and most dynamic of the city’s night markets, it’s bursting with all manner of tempting nibbles, from dosas and biryani to pav bhaji and kulfi. Perfect for fashion lovers—or anyone who can appreciate a good splash of colour—the Calico Museum of Textiles houses a world-class collection of fabrics and clothing, and is a great place to learn about block-printing, embroidery, and other traditional crafts. Located north of the Ahmedabad city centre, the nearby Akshardham Temple, hewn from 6,000 tonnes of Rajasthani pink sandstone, is nothing short of spectacular. Completed in 1981, the temple—and its surrounding complex—are a modern-day marvel. Used for urban irrigation prior to the advent of plumbing, stepwells are celebrated for their place in history as well as their intricate designs. 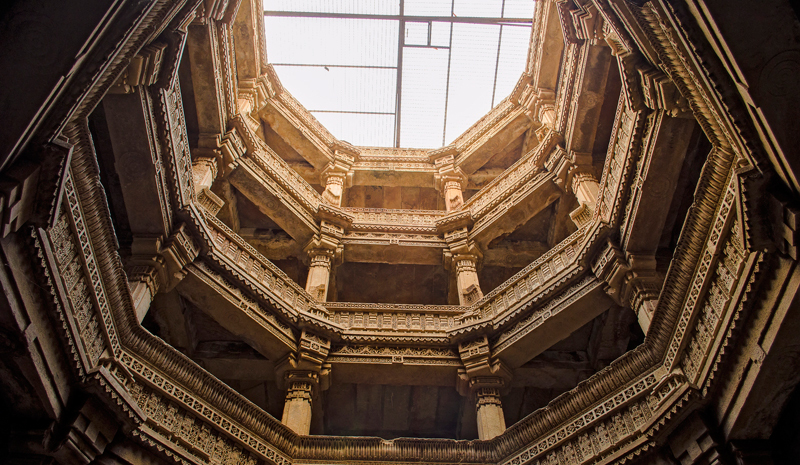 The Adalaj Stepwell, just on the outskirts of Ahmedabad, is in remarkable condition—especially given that it dates to the 15th century. A culinary highlight of Ahmedabad, Vishalla offers open-air seating, jungle-like foliage, golden-lit lanterns, and thali platters that are the perfect introduction to Gujarati cuisine.